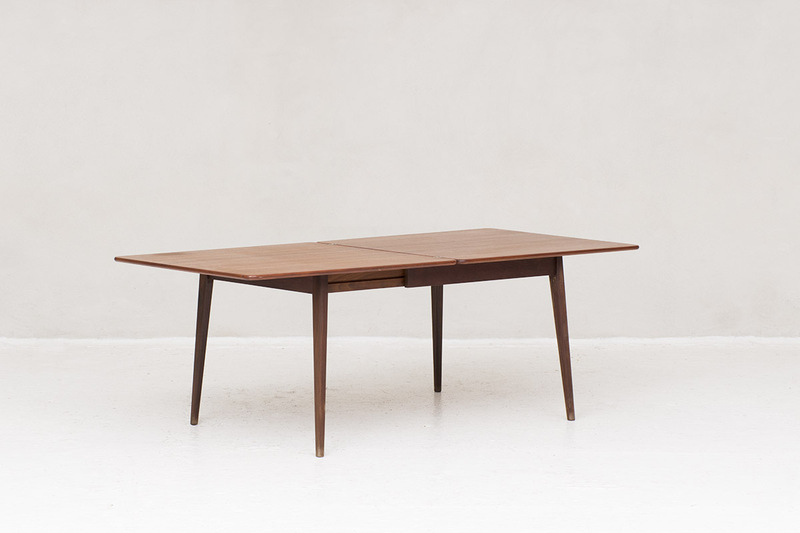 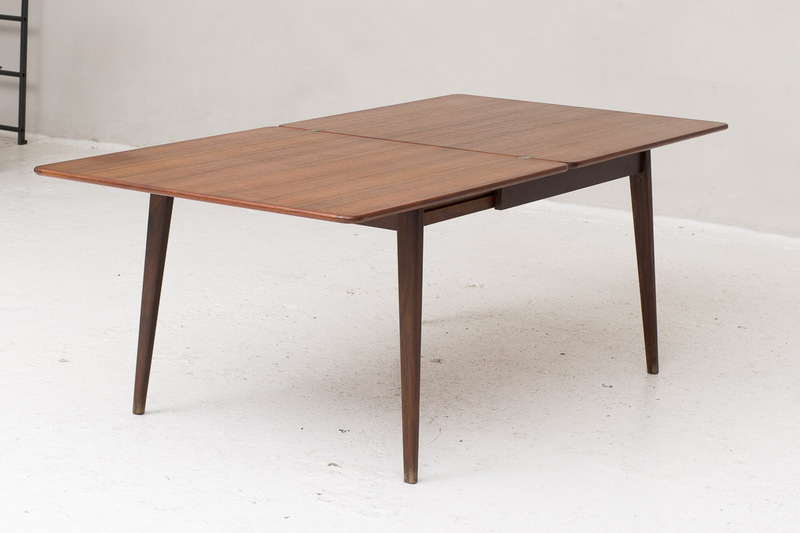 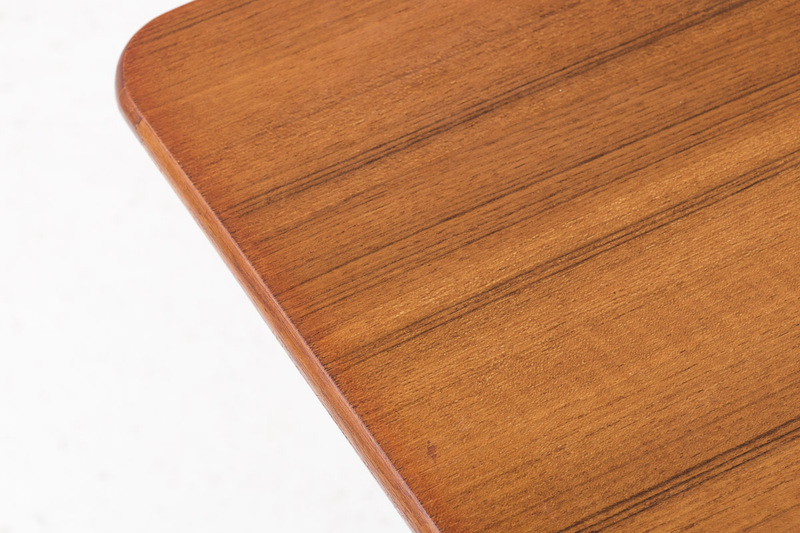 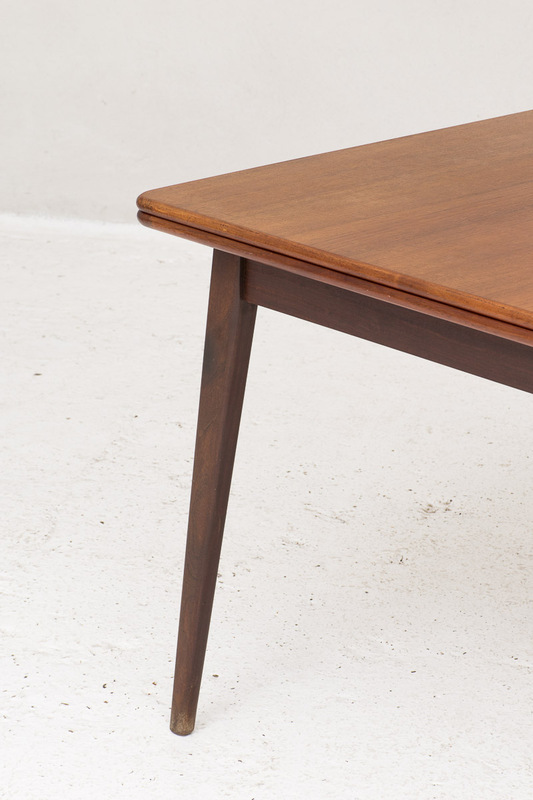 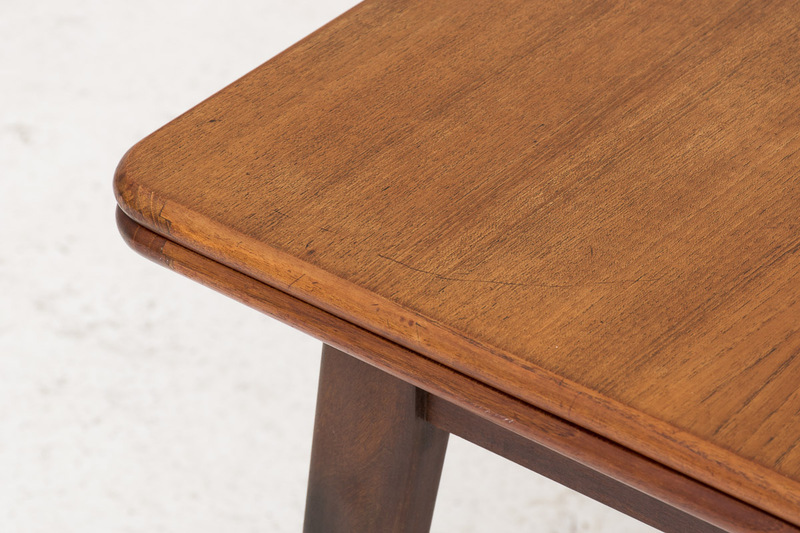 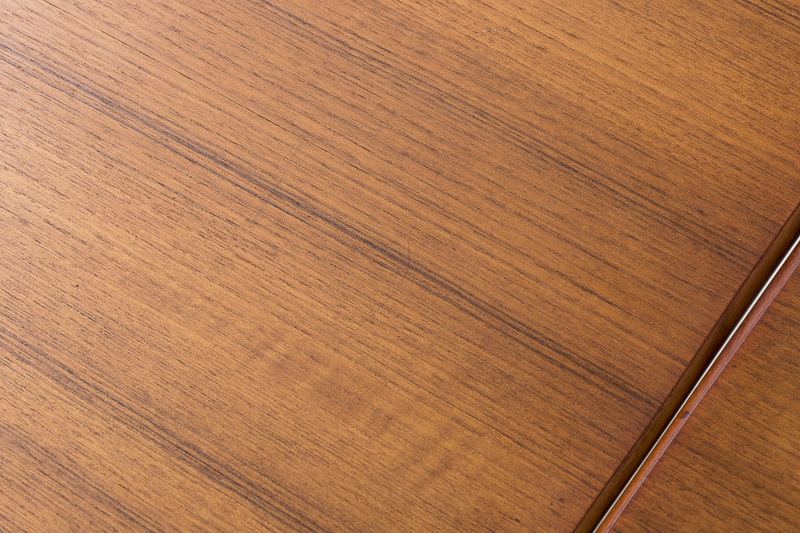 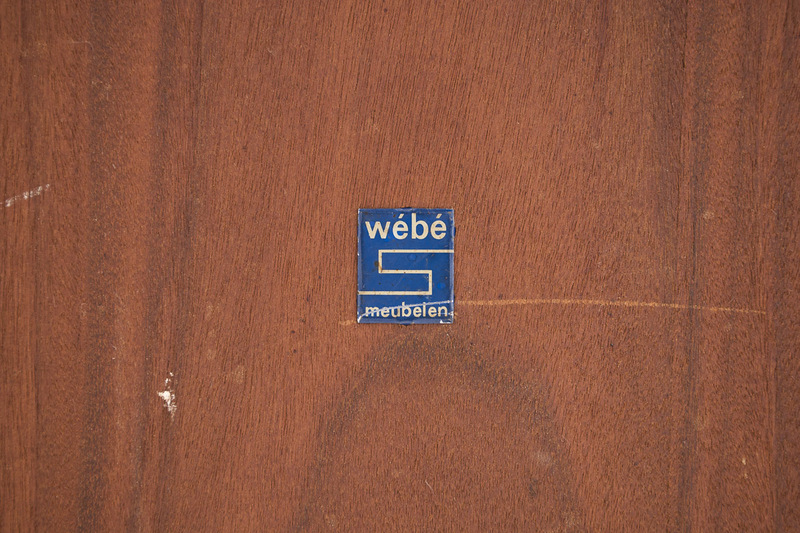 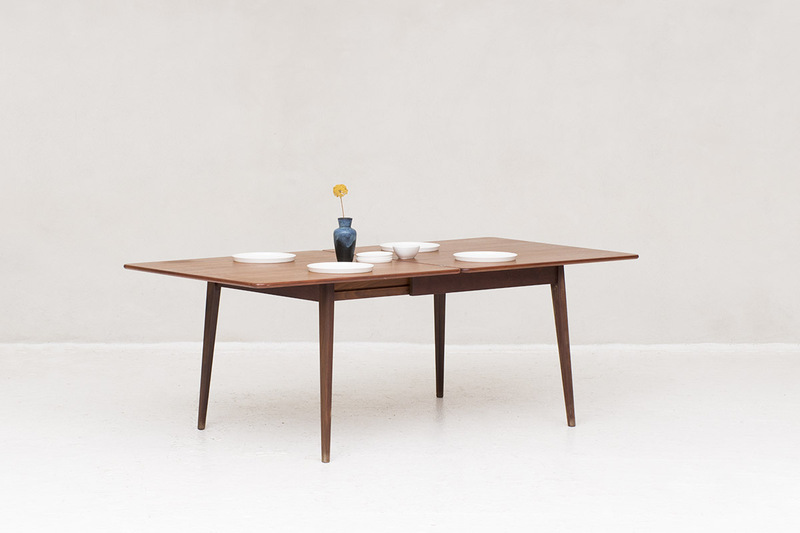 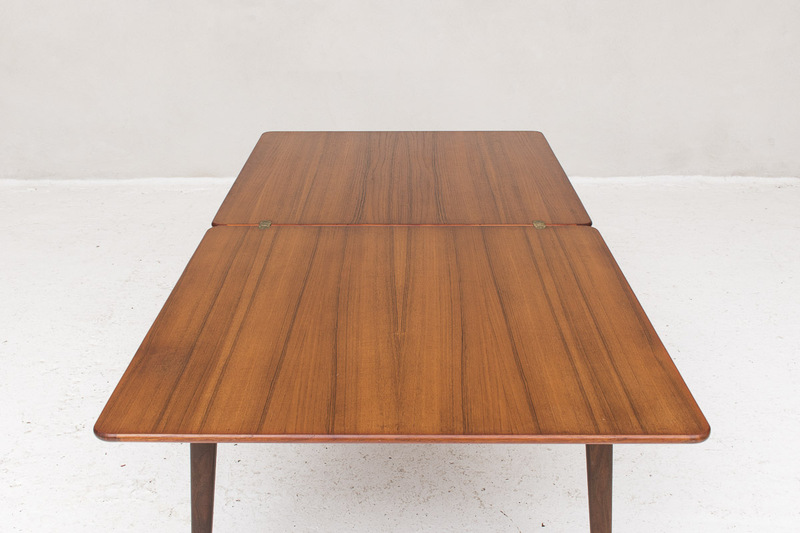 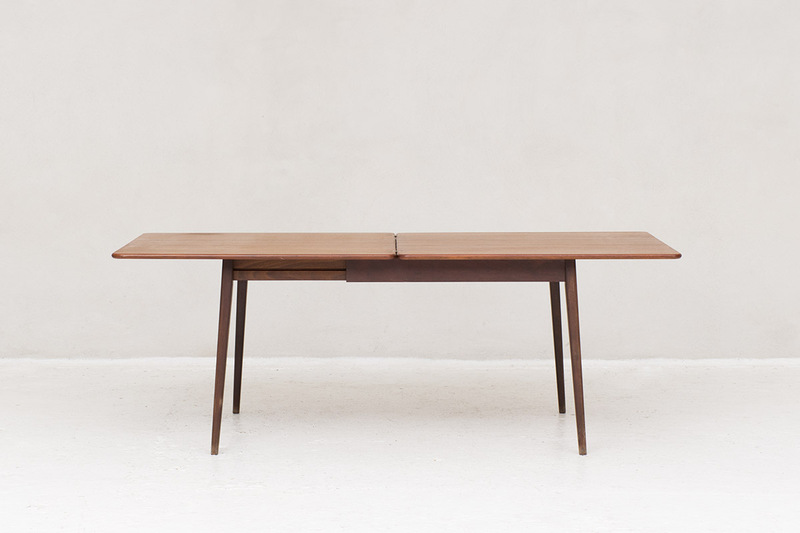 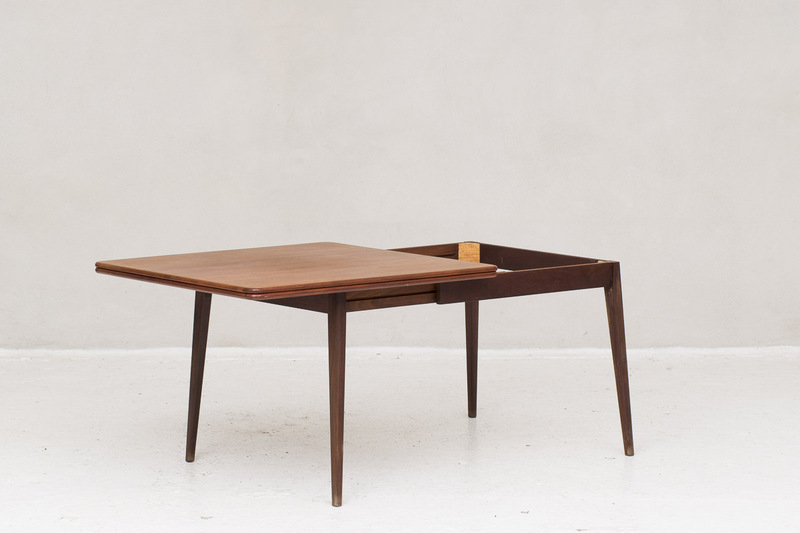 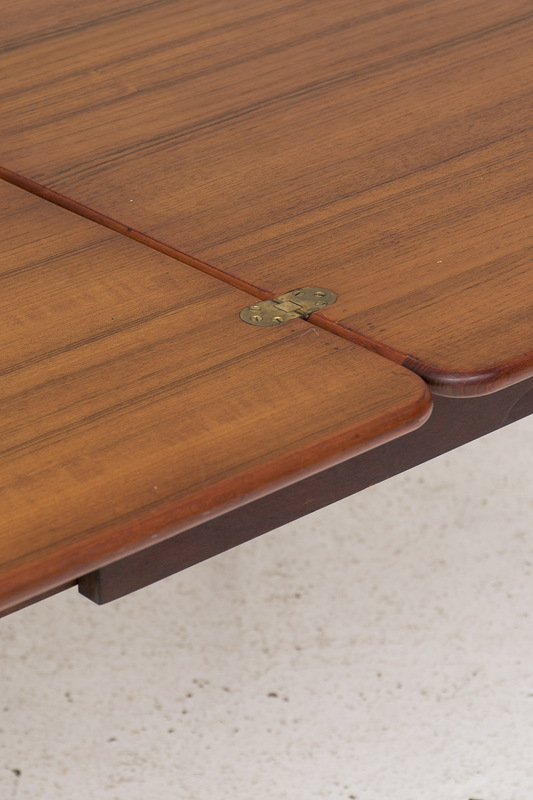 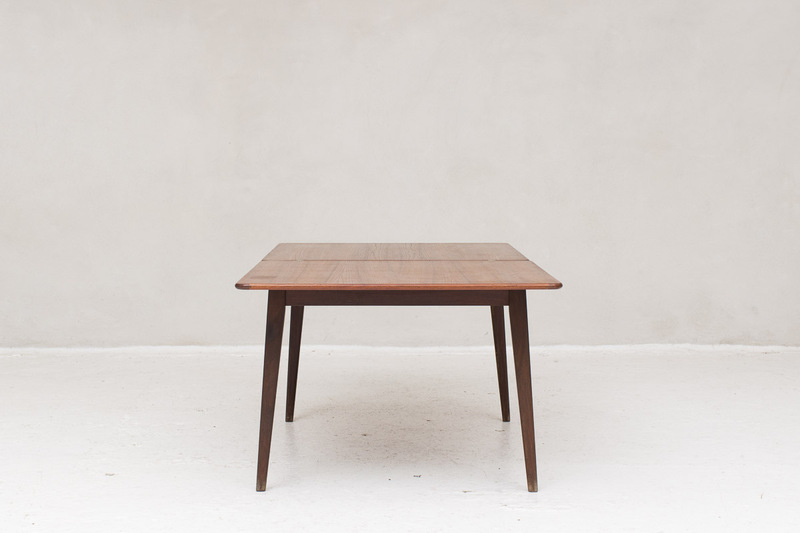 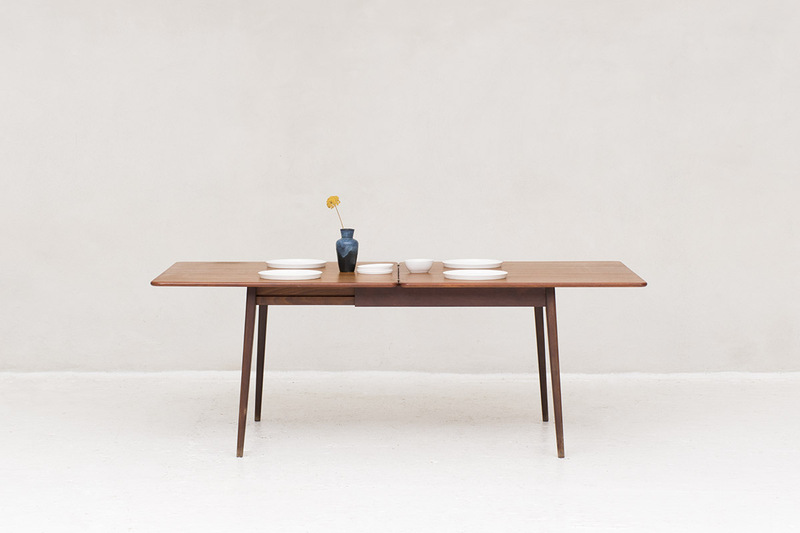 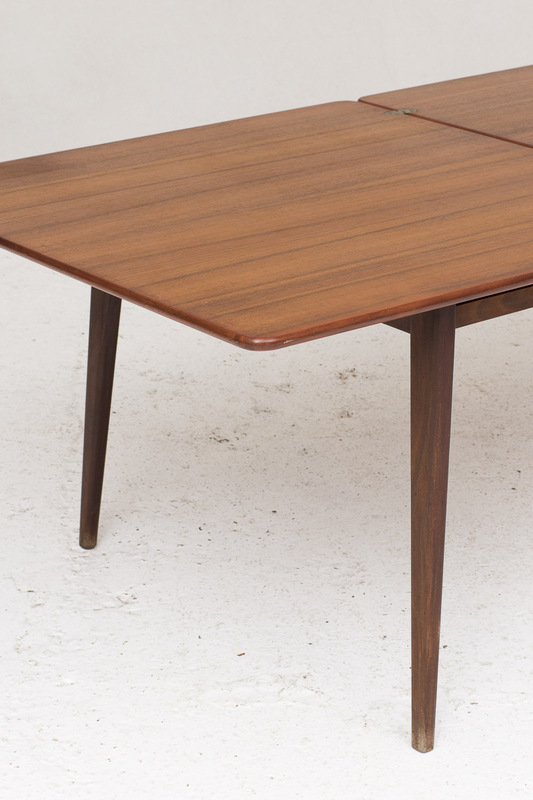 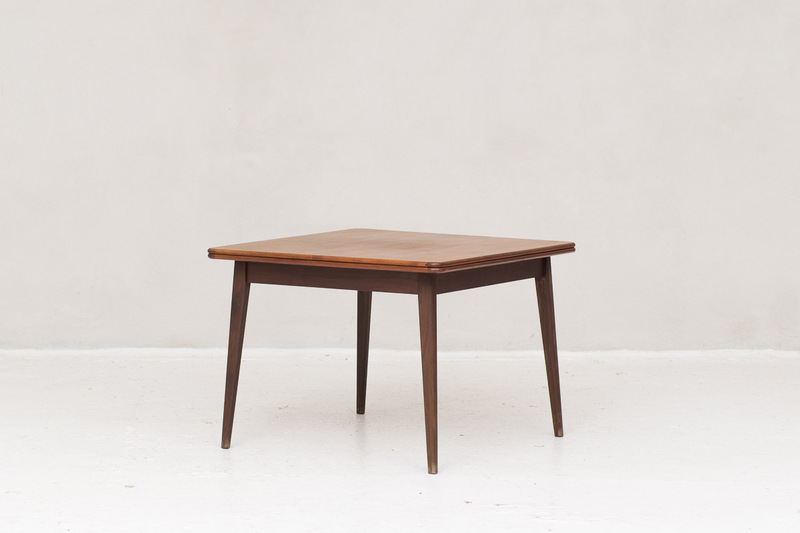 Rare dining table in teak designed by Louis Van teeffelen and produced by Wébé in the Netherlands in the 1950s. 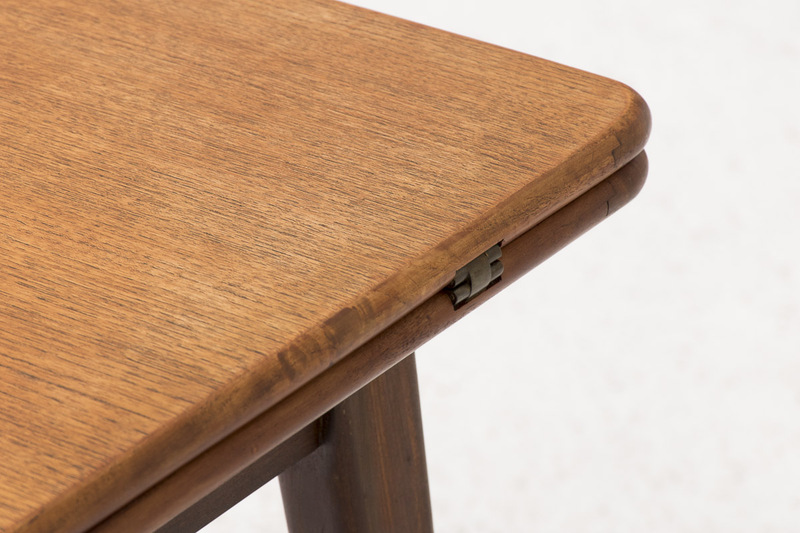 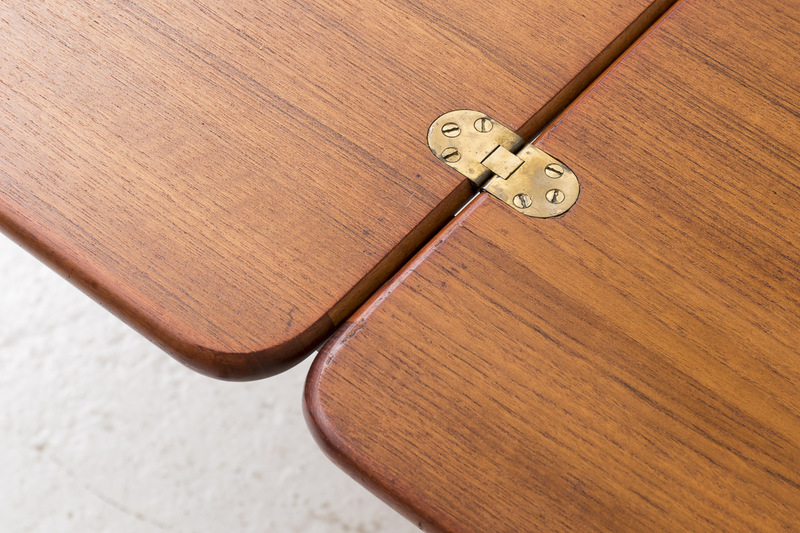 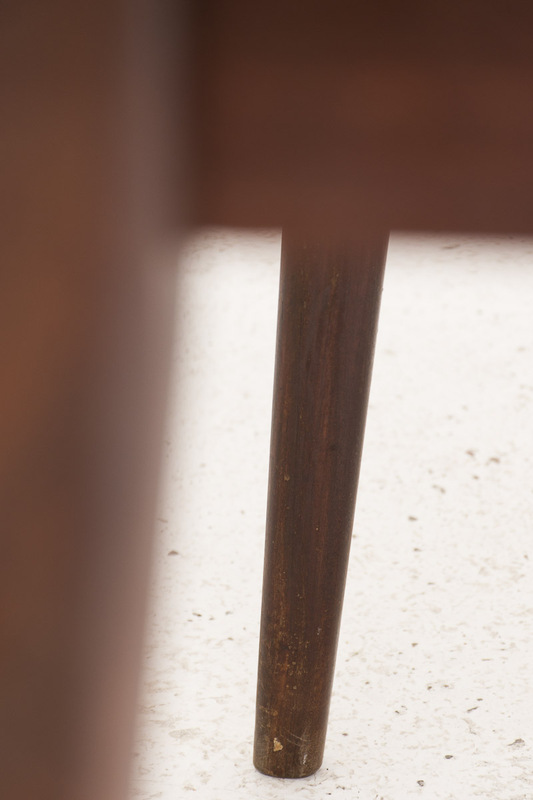 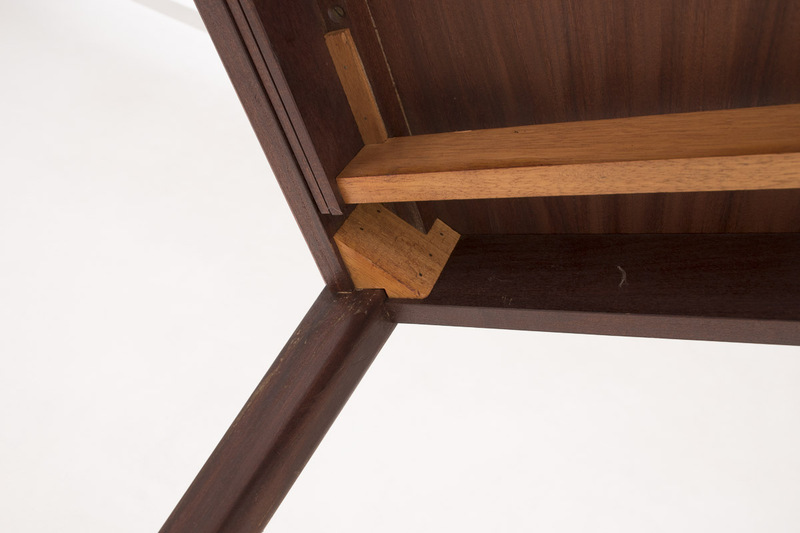 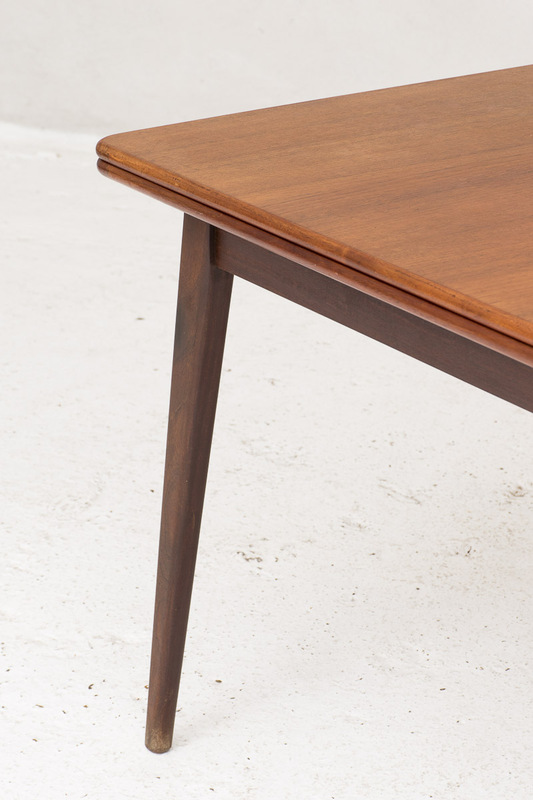 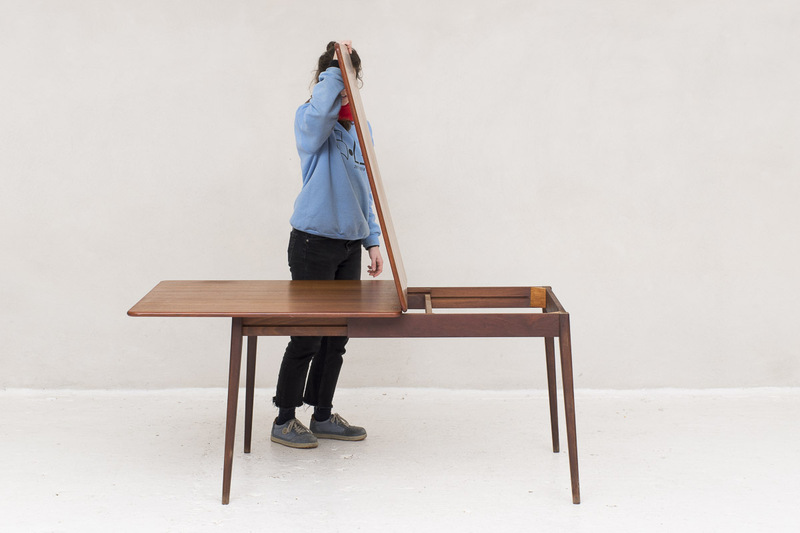 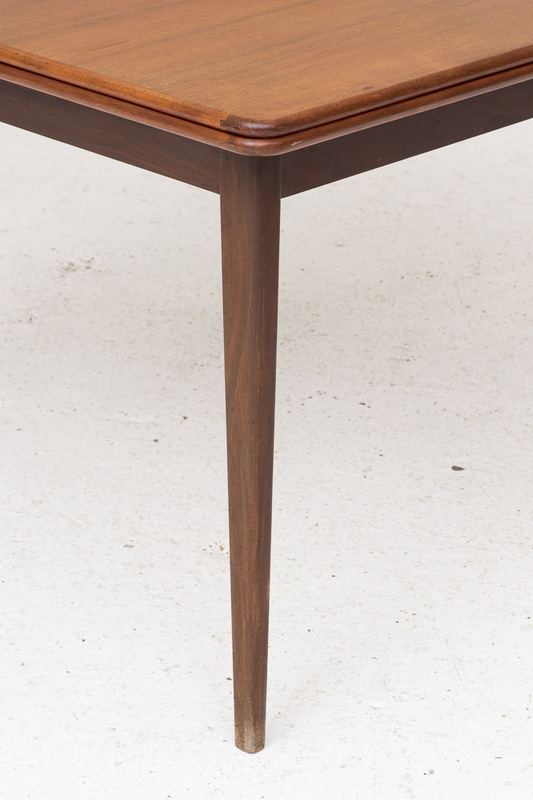 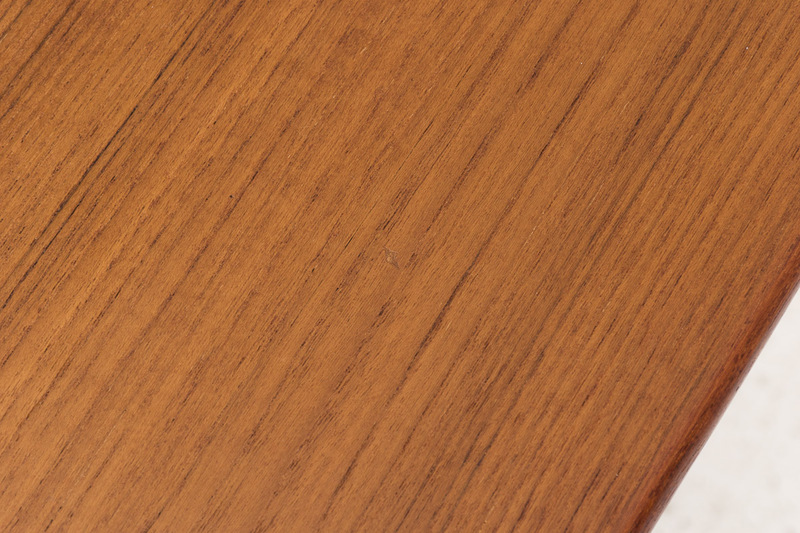 The table leaf is square and has an identical flip-top extension with brass hinges. 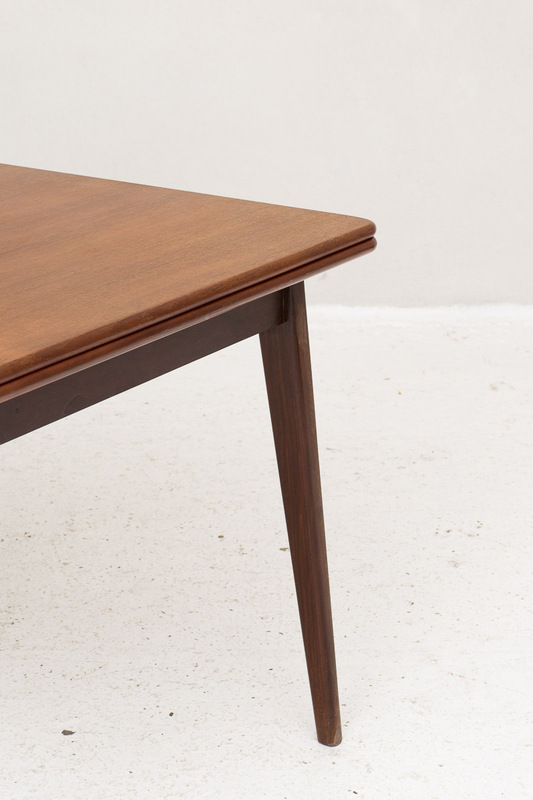 The legs extend all the way out. 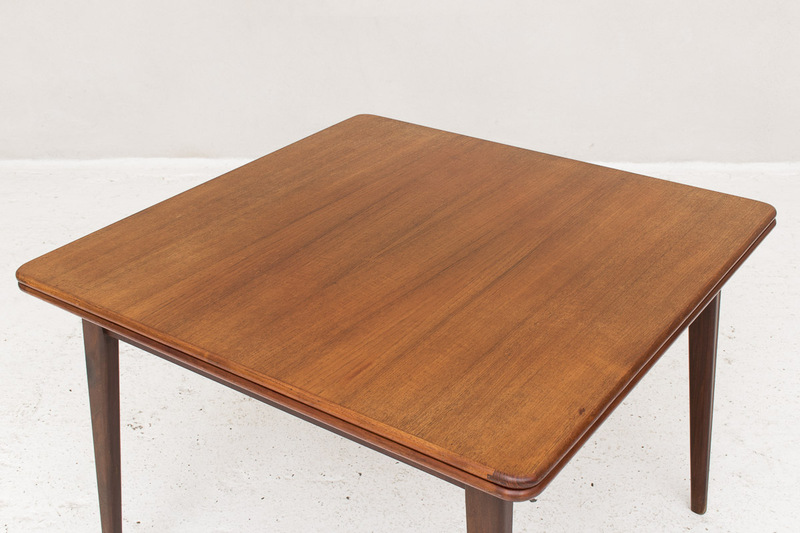 This is a very rare dining table in excellent condition.